SEOUL, SOUTH KOREA, November 6, 2018 /EINPresswire.com/ -- Glosfer (CEO Taewon Kim) announced on November 2nd that it has signed an agreement with the Korea Internet and Security Agency (KISA) to jointly operate a new bug bounty program to create a safer online environment. KISA has endeavored to build a world-class information security system to ensure that Korea and its citizens are safe in cyberspace. To promote the bug bounty program, the agency recently hosted “Hack the KISA,” a hackathon contest that awarded participants who successfully hacked the website of KISA. 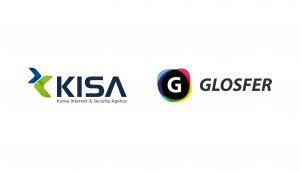 Under the agreement, Glosfer and KISA will provide software patches in case any network vulnerability is found on HYCON, a blockchain platform Glosfer developed with in-house technology, to build a safer blockchain network. KISA will encourage security experts to review HYCON’s source codes available on GitHub to find bugs, and Glosfer will provide patches for those vulnerabilities.